Nigeria’s future — and its territorial integrity — may be determined by the answer to this question. The 50-year-old politician has been missing for nearly three weeks, with both his allies and his enemies denying knowledge of his whereabouts. The longer he’s gone, the more unstable southeast Nigeria risks becoming. Kanu is the leader of the Indigenous People of Biafra (Ipob), which is agitating for the secession of the southeast from the rest of the country. He wants to declare a new Republic of Biafra — to repeat that ill-fated experiment in independence that lasted from 1967 to 1970 before being destroyed in brutal fashion by the Nigerian state. 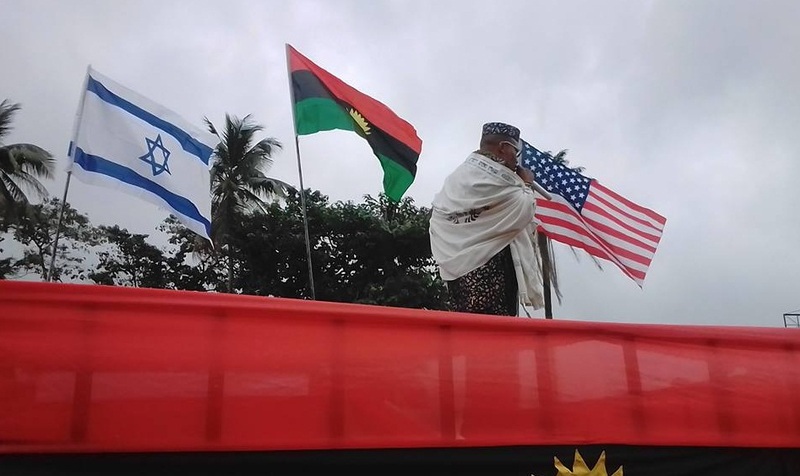 Last month, a Nigerian court declared that Ipob was a terrorist group, even though it has yet to be implicated in any violent acts. Despite this, Kanu and Ipob, along with other pro-secession groups, have plenty of support. Memories of the civil war are fresh in this part of the country, as is the sentiment that the Igbo ethnic group — one of Nigeria’s largest by population, and native to the region — is still discriminated against. But for the Nigerian government, resistance to any talk of secession runs just as deep. In September, the army launched a massive military exercise across the five states that make up the southeast. Code-named Operation Python Dance II, the deployment was ostensibly a field training exercise that was “not targeted at any individual or group”. Kanu and his supporters didn’t accept the official explanation. “Perceptions are that the deployment could be a preamble for a harsh military crackdown, which will play out via ethnic lines,” said Ryan Cummings, director of Signal Risk. On September 14, shortly after the military exercise began, Kanu disappeared. Here, accounts differ. His brother, Kingsley Kanu, says they were together at their family home in Umuahia, Abia state, when soldiers attacked. “They were shooting everything they saw,” he told Reuters. “They came here just to kill everybody.” He said at least 20 Ipob members were shot dead that night, and that he has not seen his brother since. The bullet holes that riddle the house lend credence to his account. The military, on the other hand, denies any knowledge of the attack on the Kanu family home. Nor, it says, does it have any idea where Nnamdi Kanu is. But the Nigerian military is not exactly a credible source of information — especially about the fate of opposition leaders. After all, this is the same military that has repeatedly claimed to have killed Boko Haram leader Abubakar Shekau, only for him to appear days or weeks later in another of his infamous online videos. And this is the same military that claimed to have shot Boko Haram founder Mohammed Yusuf as he was trying to escape during a 2009 raid on his compound, only for it to emerge later that he had been executed in cold blood. The parallels between Kanu’s disappearance from his home and Yusuf’s death at his compound are ominous. Instead of halting Boko Haram in its tracks, the death of its leader created a martyr and added fuel to a fire that continues to wreak havoc in northern Nigeria and neighbouring countries. “The parallels between Yusuf and Kanu are most certainly there, particularly now after Ipob’s designation as a terrorist organisation and the state’s justification to employ violence against the group and treat its membership, including Kanu, as terrorists,” said Cummings. He added, however, that the parallels are not absolute: unlike Boko Haram, Ipob does not espouse an ideology centred on violence. Nonetheless, if Kanu really is dead and enough people believe that Nigerian security forces did it, the renascent Biafra movement will have a powerful martyr around which to rally, making it an even greater threat to the Nigerian state. To avoid that outcome, Nigeria is going to have to solve the mystery of Kanu’s disappearance — and fast.